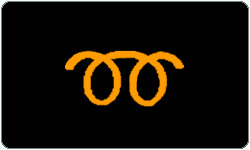 Car Warnings Lights & Alert Symbols, to identify car problem. so that the driver can address the issue before it becomes serious. 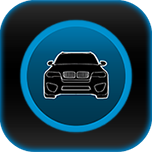 Bring the knowledge of an expert mechanic with you, wherever your car takes you. 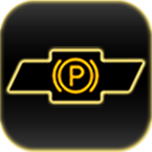 The personal mechanic for your car. 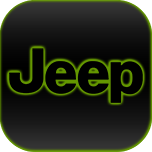 When a warning light comes on, easily find the info and insider tips you need. 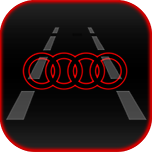 The app features dashboard warning lights and alert symbols from all cars brands and models, with an explanation of the problem. 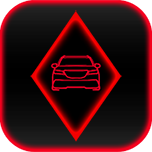 Download this app if you want to know what different warning lights and symbols, mean and if there is anything you can do yourself to avoid a trip to the repair shop. When a warning light appears on your car instrument panel, you can quickly access information around what the light represents, what system in your car is malfunctioning, and how to respond without contacting a mechanic. • Engine oil pressure is below a minimum, engine can seize, causing severe engine damage. NOT safe to drive. Stop driving immediately and switch off the engine, seek assistanceance. Usual problems: oil level is low, worn or broken oil pump, excessive engine bearings wear. Oil main function is to lubricate moving parts in the engine, oil also cleans, inhibits corrosion, improves sealing and cools the engine by carrying heat away. First check the oil level, if the level low add oil to bring the level to the full mark. 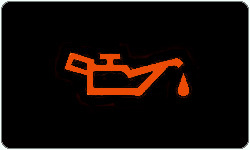 If oil level was low, it means your engine is either leaking oil or burning oil. • Engine is overheating, continuing to drive can cause serious and expensive engine damage. NOT safe to drive. Stop driving, pull over to the side, switch off the engine. Wait to cool down. Usual problems: coolant level is low, cooling fan is not working, thermostat fails to open. The purpose of the engine cooling system is to remove excess heat from the engine, to keep the engine operating at its most efficient temperature. WARNING: Do not attempt to open the radiator cap when engine is hot. Add water to coolant reservoir if it is low, check radiator and heater hoses for coolant leak. 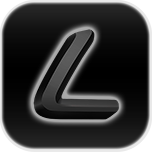 • Light is on when handbrake is engaged, if handbrake is released indicate brakes malfunction. NOT safe to drive. Stop driving, pull over to the side and check if brake fluid level is correct. 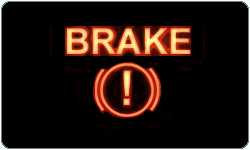 Usual problems: driving with handbrake engaged, low brake fluid level, brake pads worn out. Brakes are the most important parts of your car, typical brake system consists of disk brakes in front and either disk or drum brakes in the rear connected by hydraulic system to the master cylinder. If the brake fluid is too low indicted: brake pads worn out or leak in hydraulic system, check brake pedal travel. 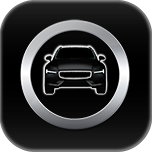 Is safe to drive your vehicle home or to a service shop, repair your car as soon as possible. Usual problems: wheel sensor malfunction, bad electrical connection or broken wire. ABS System is designed to keep you safe during panic stops, by limiting wheels from locking. better steering control, ABS brakes helps to shorten stopping distances. 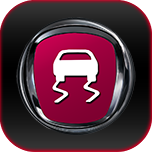 The system is often integrated with traction control and stability control. 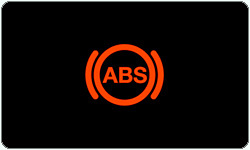 ABS Warning does not monitoring brake pads or disc wear. • If the both lights are on, you experienced serious brakes system malfunction. NOT safe to drive. Stop driving, pull over to the side check brake fluid level, seek assistanceance. Usual problems: brake fluid leaking, brake master cylinder malfunction, electrical problem. Brake performance is the most important safety element, the ABS brakes helps to shorten stopping distances. If the brake fluid is low and brake pedal travel is noticeably longer than usual, it means that hydraulic pressure has been lost in one of the hydraulic system. Don't continue driving your vehicle. • If light on while driving, your battery is not being charged, there is a fault in charging system. Do not continue driving, you do not have to stop immediately. Pull off at the first opportunity. Usual problems: alternator failure, loose or broken alternator belt, faulty battery, broken wire. Charging system produce a voltage while the engine is running, As long as the charging system is working, all of the power is delivered by the alternator. If the charging system stopped working, battery charge would soon be depleted. 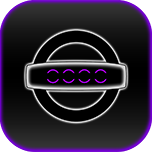 Check if belt is OK and turning the alternator, check battery terminals. 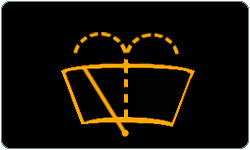 • If Air Bag - SRS light stay on, your Air Bag is not going to blow up, fault in the Air Bag system. You can drive at own risk, have your car checked by an auto mechanic, as soon as possible. Usual problems: bad electrical connection, crash sensor fault, air bag modules malfunction. The SRS - Air Bag control module runs a self check every time the vehicle is driven. 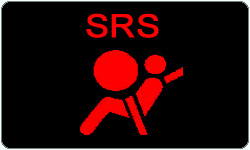 If there is a fault in a crash sensor, one of the air bag modules, the wiring system or connection it will set a code, turn on the warning light and disable entire SRS - Air Bag system. If the light stay on Air Bag system is not working. 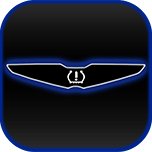 • If the light stay on indicated engine malfunction, an emissions component has failed. 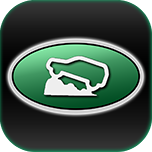 Is safe to drive your vehicle home or to a service shop, visit auto service as soon as possible. Usual problems: failed oxygen sensor, vacuum hose leaks, loose gas cap, failure electronics. Electronic Control Module controls the operation of the vehicle powertrain, engine and transmission. The main purpose is to keep the engine running at top efficiency with the lowest emissions. Computer has self testing capability. 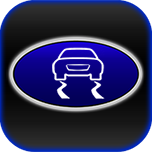 Have your vehicle checked by a dealer to avoid any damage to catalytic converter. 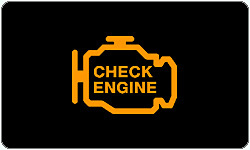 • If light stay on as the "Check Engine" indicated abnormal condition in exhaust emissions. ECM computerized engine controls systems maintain the best driveability and performance at the lowest emissions. ECM system relies on O2-oxygen sensor. The "Service Engine Soon" or "Check Engine"
lighst alerts you to problems as: poor fuel mileage, reduced engine performance or excessive emissions. 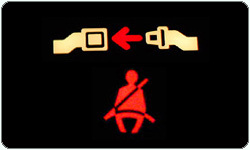 • If light is on usually you forgot to buckle up, or there is a problem in the electric circuit. You can drive at own risk, seat belts save lives. Have your car checked by an auto mechanic. Usual problems: forgot to buckle up, buckle up sensor malfunction, short in electric circuit. Seat belt reminder is warning system to remind you to use your safety belt It's a combination of a sounding chime and warning light on instrument panel, shows if the driver's safety belt is not buckled. A seat belt is a safety harness designed to secure the occupant of a vehicle against harmful movement. 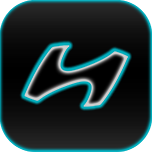 • If light is on you are running out of gas, or there is a problem with the fuel level sensor. Usual problems: run out of gas, fuel level sensor malfunction, bad electrical connection. A fault that opens the electrical circuit causes the indicator to show the tank as being empty which provoke driver to refill the tank. 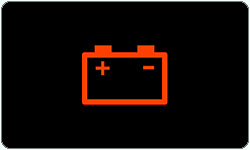 If the low fuel light remained on and you have gas in the tank, there is electrical problem. 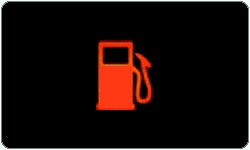 Most cars still have about 5 litres gas in the tank, when the fuel light comes on. • If light on the side door or trunk ajar, or there is a bad door switch an electrical problem. You can drive, pull over to the side and shut all the doors and trunk. Visit auto service soon. Usual problems: one door or trunk ajar, bad door switch is grounding, short in electric circuit. The door ajar warning system, each door sends a signal to the electronic module that the door is ajar and this module illuminates the door ajar light and the interior courtesy light. If door ajar warning light staying on when all doors are shut, this drain the battery. Lubricate all of the door latches with penetrating oil. • If light on wait the glowplugs are heating, then start the engine. Or there is electrical problem. 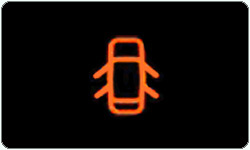 If the "Wait To Start" light remain on, is safe to drive your car. 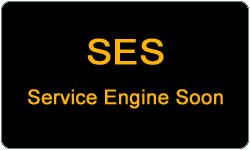 Visit specialize auto service soon. Usual problems: bad glowplug, bad electrical connection, failure in electronics, low battery. Diesel engines, do not use spark, the fuel mist is then sprayed into the cylinder, a glowplug is a heating device used to aid starting diesel engine. 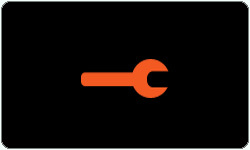 The heat generated by the glowplugs is directed into the cylinders, serves to warm the engine when is cold. To start engine easily use winter grade diesel fuel. 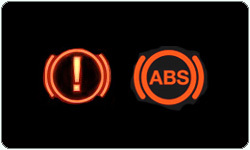 • If light is on or flashing indicates 4 wheel drive system malfunction, take note of all symptoms. Usual problems: excessive noise, gear failures, no oil transfer case, defective electronic unit. 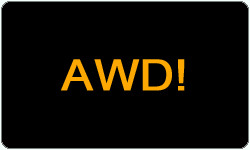 Four wheel drive, 4WD, 4x4, Quattro or AWD is a four-wheeled vehicle with a drive-train that allows all four wheels to receive torque from the engine at the same time, full time AWD is appropriate for improving on road handling. All wheel drive requires more maintenance than an ordinary car, and using more fuel. • If light on, the rear window or side mirror heaters are working. If not heating there is an electrical problem. Is safe to drive your vehicle. Have your car checked by an auto mechanic. Usual problems: bad electrical connection, broken wire, failed switch, failed timer component. Rear window and side mirrors defroster-defoggers consists of an array of heating elements attached in very narrow strips to the glass interior. There is no danger of electric shock or burns, low voltage. 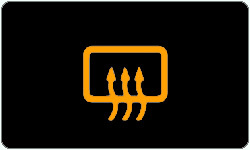 Window heaters may operate on a timer, usually 15 minutes, activate defroster if is cold before using wipers. • If light is on indicates cruise control is driving your car, cruise control turn off as soon as you touch the brake pedal, if light remain on there is a serious system problem. NOT safe to drive. Usual problems: brake pedal switch connection, electrical problem, defective electronic unit. 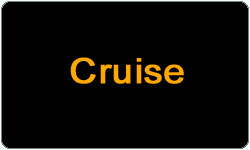 The purpose of a cruise control is automatically control the speed of a vehicle, without intervention from the driver. Cruise control takes over control of the throttle. Its usefulness for long drives by reducing driver fatigue, improving comfort. 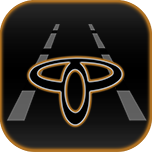 If there is any cruise control problem visit auto service as soon as possible. • If light on overdrive mode is switch off in transmission. 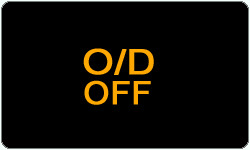 If you switch back on overdrive, light remain on, its a transmission or electrical problem. Is safe to drive your car to a service shop. Usual problems: failed overdrive-off switch, electrical problem, defective transmission module. Overdrive is a device to allow an extra high overall gear ratio for high speed cruising, at the cost of less torque - less engine power. On overdrive the car's engine speed drops, reducing wear and saving fuel. 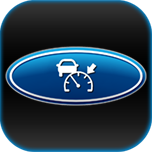 Overdrive-off mode, it gives you the option of moving car slower with the more engine power. 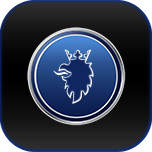 • If light on is time to service your vehicle, engine oil change, according to the car manufacture. Is safe to drive your vehicle, you do Not have to change oil immediately. Change the oil soon. 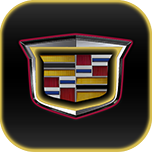 Usual problems: oil change or service is overdue, service reminder light is not reset. Oil change reminder light comes on when the engine computer estimates the oil needs to be changed. EDU calculate hours of engine operation and operating conditions. Oil keeps the moving parts of the engine lubricat, reducing friction and the wear. You should changed engine oil every 5000 km for short city driving, or every 7000 km for highway driving. Also air filter has to be replace frequently. 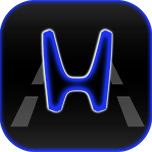 • If light stay on your tire is getting low on air, or your air pressure sensor malfunction. Is safe to drive your vehicle home or to a service shop, check tire pressure, repair bad tire soon. 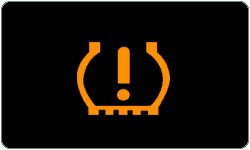 Usual problems: flat tire - tire is low on air, tire pressure light not reset, defective air sensor. TPMS is an electronic system designed to monitor the air pressure in the pneumatic tires. 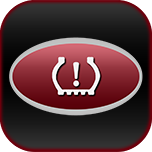 The systems report real time tire pressure information to the driver via a gauge or low pressure warning light. 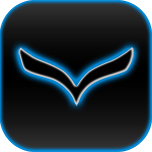 Helps to improve vehicle safety and fuel economy. React to slow air leaks, and reset low tire pressure warning. • If light is on reminds driver that windshield washer fluid level is low in the washer reservoir. 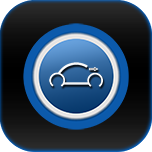 Is safe to drive your vehicle, top up the windshield washer fluid as soon as you can. 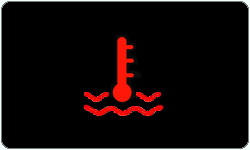 Usual problems: washer fluid level is low, faulty fluid level sensor in reservoir or short circuit. Windshield washer fluid is a special fluid for motor vehicles that is used in cleaning the windshield while the vehicle is being driven. A clean windshield is very important in terms of your safety, washer fluid doesn't freeze, it helps to break down the frozen windshield thin layer of ice.